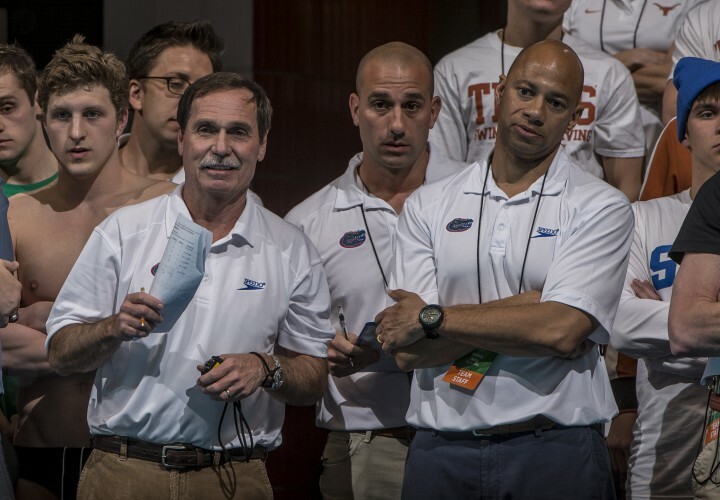 Photo by Peter H. Bick 21 November 2014, 06:54pm ATLANTA – After a day of blistering performances that included three swims that automatically qualified for the NCAA championships, tonight’s finals at the Georgia Tech Invitational cooled the atmosphere a bit. 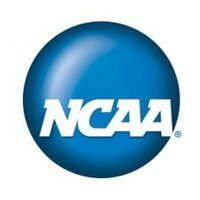 While no one put up times to automatically put them on the NCAA roster, the races still produced some strong efforts. 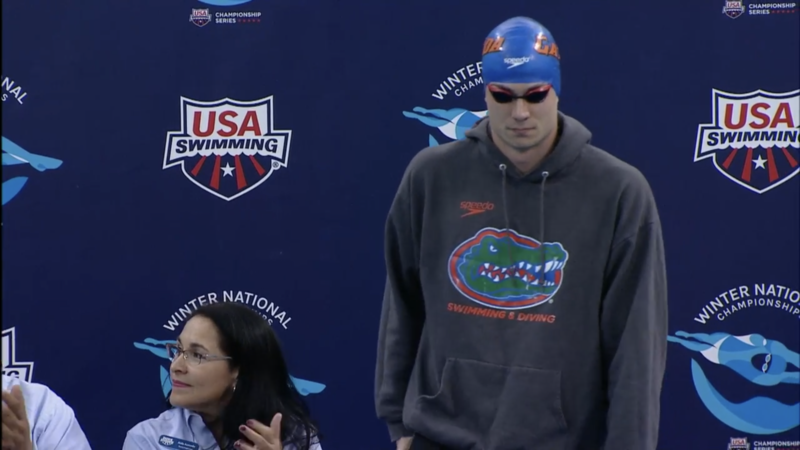 Pawel Werner took the men’s 200 free, leading a 1-2-3-4-5 Florida finish with a 1:34.79 to post the fastest time in the country by more than a second. Corey Main now owns the second-fastest time in the collegiate ranks this season with a 1:35.17, while Mitch D’Arrigo (1:35.26) and Nicolas Alexiou (1:35.67) sit third and fourth. All four of the swims bumped Indiana’s Anze Tavcar out of the No. 1 spot. Rounding out the Florida rout in the event was Justin Kaisrlik with a 1:37.68. 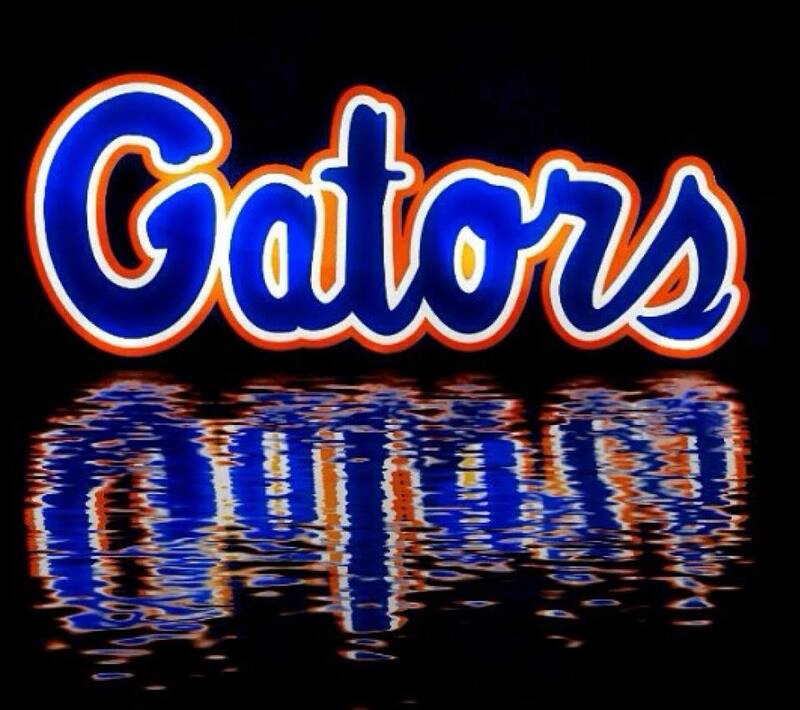 Caeleb Dressel, a freshman at the University of Florida, had three very impressive swims tonight. 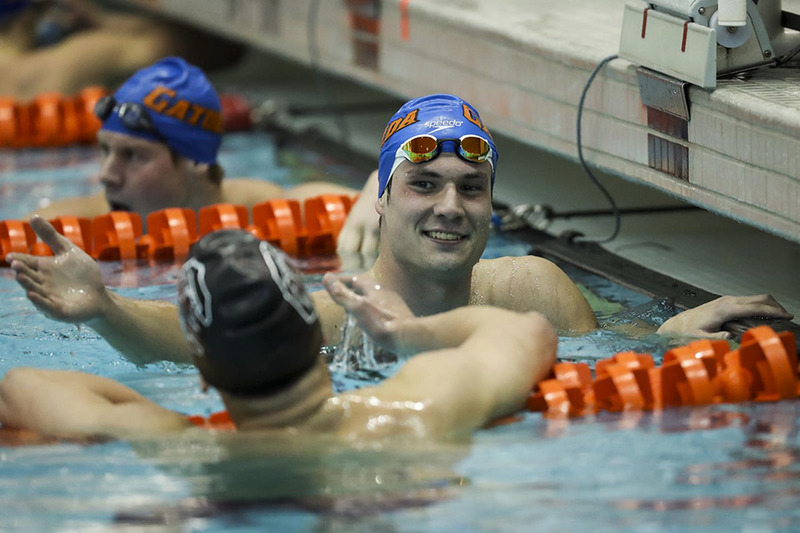 He helped Florida win the 200 medley relay with a blistering 18.94 freestyle leg that produced a 1:26.03 for the team that included Corey Main (21.98 backstroke), Eduardo Solaeche-Gomez (24.41 breaststroke) and Christian Homer (20.70 butterfly). 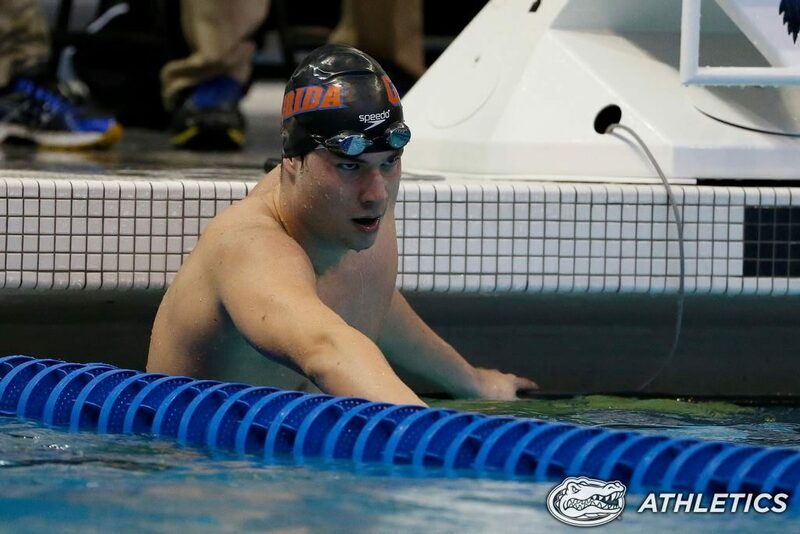 Despite Dressel’s split, the Gators just missed the “A” cut of 1:25.63. Georgia Tech, buoyed by a 19.32 freestyle split from Andrew Kosic, was second with a 1:27.70 while Florida State took third with a 1:28.60. Dressel returned to win the 100 fly with a 46.60, missing his lifetime best of 45.89 from last year. Kosic had a lead of nine hundredths over Dressel at the 50-yard mark, but settled for second with a 46.87. Cadell Lyons of Florida State took third with a 47.26. Dressel’s third big swim of the night came in the 100 breast, where he won the B final with a 54.39 after posting a 57.17 in prelims. That time would be the second-fastest of the finals session, but not fast enough to beat the winning time of 53.67 by Solaeche-Gomez. Jason Coombs of Florida State was second with a 54.40 after a 54.08 in prelims, while Craig Emslie of Indian River was third in 54.65. Just as they did yesterday in the 500 free, Florida nearly filled all the lanes in the 10-person 400 IM final. Leading the way was NCAA runner-up and Commonwealth Games champion Dan Wallace with a 3:44.12, followed by Solaeche-Gomez with a 3:46.90 and Carlos Omana with a 3:49.18. Also competing for Florida in the final were: Mark Szaranek (4th, 3:49.77), Ryan Rosenbaum (5th, 3:53.31), Arthur Frayler (7th, 3:55.82) William Silva (8th, 3:56.02) and Adam Bull (10th 4:00.68). Swimming for Georgia Tech, Michael Henry placed sixth with a 3:55.63, and Florida State’s Kyle Doxtater was eighth with a 3:58.80. Jack Blyzinskyj led a Florida 1-2-3 finish in the 100 back with a 47.49, the third-fastest swim in the collegiate rankings this season. Main was second once again tonight with a 47.51, while Christian Homer took third with a 47.74. Florida had no trouble with the men’s 800 free relay, posting a solid time of 6:24.27 with Wallace (1:35.27), D’Arrigo (1:36.20), Werner (1:36.05) and Main (1:36.75) on the squad. Second place went to Georgia Tech with a 6:38.87 and third went to Indian River with a 6:46.71. 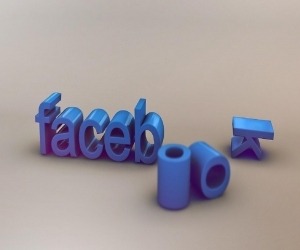 Questo articolo è stato postato in BLOG, Le mie gare, News and tagged Anthony Nesty, Corey Main, Dan Wallace, Florida Gators, Georgia University, Gregg Troy, NCAA Championships, Nicolas Alexiou, Pawel Werner, swimming world magazine, University of Florida. Bookmark the permalink.